Chinese shipbuilder Yangzijiang Shipbuilding has signed an agreement with Zhejiang Chankong Steel Pipe and Shanghai Puhe Metallurgy to set up a joint venture for offshore structure manufacturing. The new company, Jiangsu Yangzi Chankong Offshore Equipment, will mainly produce offshore equipment for the oil and gas industry and offshore wind industry. 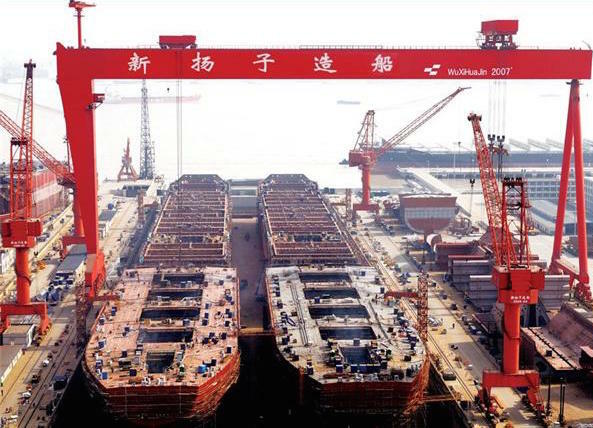 Yangzijiang believes that the new joint venture will complement and support the company’s shipbuilding business. In the meantime, the shipyard is also disposing of its non-core business units having sold two subsidiaries in August.